“… some participants thought that the conditions for beginning the policy normalization process had already been met. Most participants anticipated that, based on their assessment of the current economic situation and their outlook for economic activity, the labor market, and inflation, these conditions could well be met by the time of the next meeting”. On the other hand, the minutes also show considerable caution and a real concern that the very use of the phrase “the next meeting” could give the impression that a December rise was a done deal. This is most definitely not the case. It remains a matter of waiting to read the data that comes out in regard to inflation and employment in advance of that meeting. 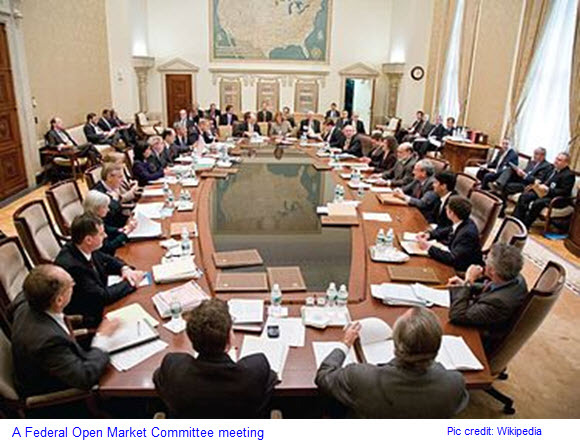 The CME group (Chicago Mercantile Exchange) facilitates trading in options and futures. By analysing the open positions, both long and short, in the futures that they broker which contain the U.S. dollar as a component, they can determine the collective expectations of market participants. The result is classified as the extent to which the market has “priced in” a rate rise (or some other factor that could result in movement in said dollar). Very interestingly, the CME figures this a.m. show that the market now sees ‘only’ a 67.8% chance of a rise in December, as against 72% before the release of the minutes yesterday.